“Um, I’m pretty excited. It’s gonna be a really good show. 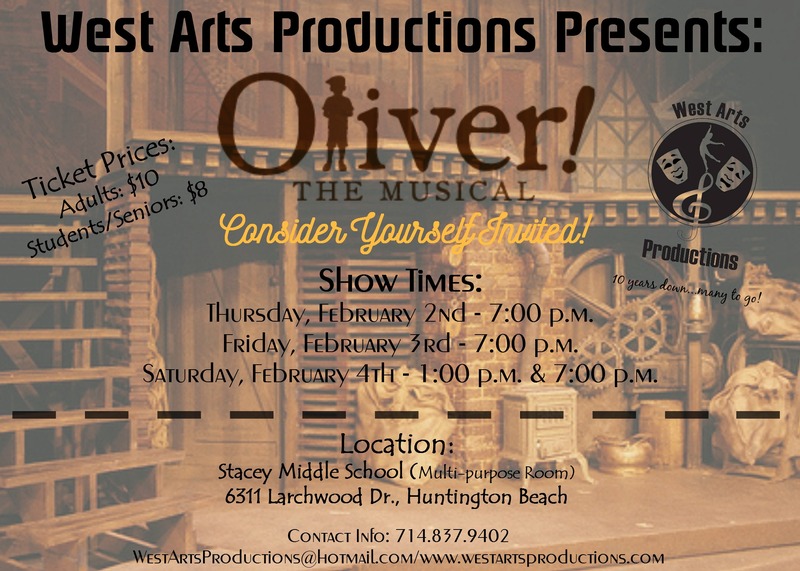 Everyone is doing their best,” said eighth-grader Zane Collinsgru, who is Mr. Sowerberry in the musical. “I’m nervous and excited, as always, because we will be performing live in front of people,” says seventh-grader, Kira temple, in the role of Bet. “It is very stressful, and we barely learned anything . . . What? It’s true.” said 8th grader, Katie Weir, who plays the part of Dr. Grimwig. “Um . . . I’m pretty scared, but I think we can all pull through. It’ll be good” said eighth-grader, Shae Thompson, who plays the lead role of Nancy. “I mean… it’s fine? I’m not all too stressed about it. It’s just being on stage being an idiot, just like all the time,” said Deven Nguyen, who plays Mr. Sowerberry. “I’m scared that I won’t know my lines, but I KNOW all my lines.. because I don’t have many lines, so ya come see the show guys it’s gonna be great… If we remember our lines,” said Caitlyn Timmons. Top State Department Officials Fired?